Richard Meadows serves as an Independent Director for each of Ironwood’s registered funds, Ironwood Institutional Multi-Strategy Fund LLC and Ironwood Multi-Strategy Fund LLC and is a member of the audit committee. In 2010, Mr. Meadows retired from a near-thirty year career in the alternative investment industry. After managing a fund of hedge funds similar in structure to some of the private Ironwood funds in the 1980’s, Mr. Meadows co-founded and served as president of Price Meadows Incorporated, a hedge fund administration company that came to be recognized by Institutional Investor’s Alpha Awards as being among the best such firms in the nation. As an administration firm, Price Meadows Incorporated was involved in back office operations, performance calculation and reporting plus audit support for hundreds of hedge funds and funds of funds. In 2008, Price Meadows Incorporated was acquired by ALPS Fund Services Inc. Mr. Meadows served as Executive Vice President of the acquiring firm until his retirement in 2010. He earned a B.S. degree in Business from the University of Idaho, and holds a Master of Business Administration degree from Washington State University. M. Kelley Price serves as an Independent Director for each of Ironwood’s registered funds, Ironwood Institutional Multi-Strategy Fund LLC and Ironwood Multi-Strategy Fund LLC and is a member of the audit committee. In 2010, Mr. Price retired from a near-thirty year career in the alternative investment industry. After managing a fund of hedge funds similar in structure to some of the private Ironwood funds in the 1980’s, Mr. Price co-founded Price Meadows Incorporated, a hedge fund administration company that came to be recognized by Institutional Investor’s Alpha Awards as being among the best such firms in the nation. As an administration firm, Price Meadows Incorporated was involved in back office operations, performance calculation and reporting plus audit support for hundreds of hedge funds and funds of funds. In 2008, Price Meadows Incorporated was acquired by ALPS Fund Services Inc. Mr. Price served as Executive Vice President of the acquiring firm until his retirement in 2010. He is a 1972 graduate of Stanford University. 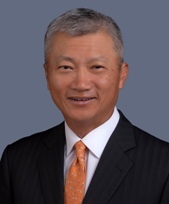 David Sung serves as an Independent Director for each of Ironwood’s registered funds, Ironwood Institutional Multi-Strategy Fund LLC and Ironwood Multi-Strategy Fund LLC and serves as chair of the audit committee. Mr. Sung currently serves as an independent director, independent trustee, board member and/or an advisory committee member at certain private and public companies in the investment funds and banking sectors. In 2014, Mr. Sung retired from a thirty-five year career in the public accounting business. 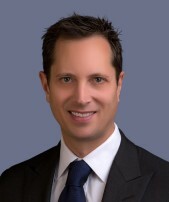 He was the partner in charge of leading the alternative asset management audit practice for Ernst & Young LLP in the West Coast from 1995 to 2007, the co-leader for the Ernst & Young LLP asset management audit practice in the Asia Pacific region from 2007 to 2010 and finally the market leader for the Ernst & Young LLP asset management audit practice in the Western region prior to his retirement in 2014. Mr. Sung earned a B.S. degree in Business from the University of San Francisco. Fred is the Founder of Ironwood and an equity owner of the firm. 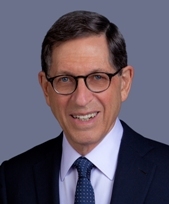 Fred was previously employed by Bear, Stearns & Co., Inc. in San Francisco as a Managing Director, and prior to that as Vice President of Smith Barney and Co., where he serviced institutional and high net worth individual accounts. Fred earned a B.A. in Mathematics from Case Western Reserve University and an M.S. in Statistics from Columbia University’s Graduate School of Business.